Do less work when testing your Python code, but be just as expressive, just as elegant, and just as readable. The pytest testing framework helps you write tests quickly and keep them readable and maintainable - with no boilerplate code. Using a robust yet simple fixture model, it's just as easy to write small tests with pytest as it is to scale up to complex functional testing for applications, packages, and libraries. This book shows you how. 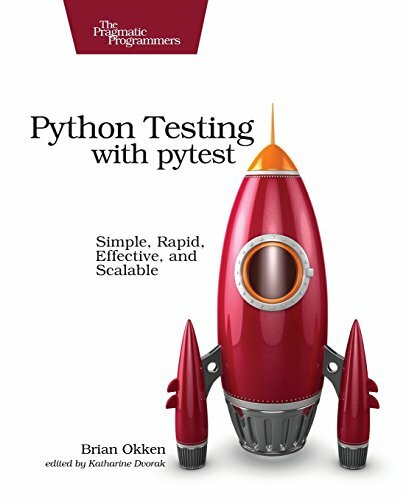 For Python-based projects, pytest is the undeniable choice to test your code if you're looking for a full-featured, API-independent, flexible, and extensible testing framework. With a full-bodied fixture model that is unmatched in any other tool, the pytest framework gives you powerful features such as assert rewriting and plug-in capability - with no boilerplate code. With simple step-by-step instructions and sample code, this book gets you up to speed quickly on this easy-to-learn and robust tool. Write short, maintainable tests that elegantly express what you're testing. Add powerful testing features and still speed up test times by distributing tests across multiple processors and running tests in parallel. Use the built-in assert statements to reduce false test failures by separating setup and test failures. Test error conditions and corner cases with expected exception testing, and use one test to run many test cases with parameterized testing. Extend pytest with plugins, connect it to continuous integration systems, and use it in tandem with tox, mock, coverage, unittest, and doctest. Write simple, maintainable tests that elegantly express what you're testing and why.